This article didn’t have my fix, but it did state that “The error probably relates to your MPIO configuration”. That’s when I found two listings in my iSCSI Initiator’s Favorite Targets screen. I removed one of the listings and bam!…Error gone. The issue for me turned out to be that I had multiple virtual adapters (vNICs) that pointed to the SAN provider. By removing one of them, it removed the duplicate SAN devices. 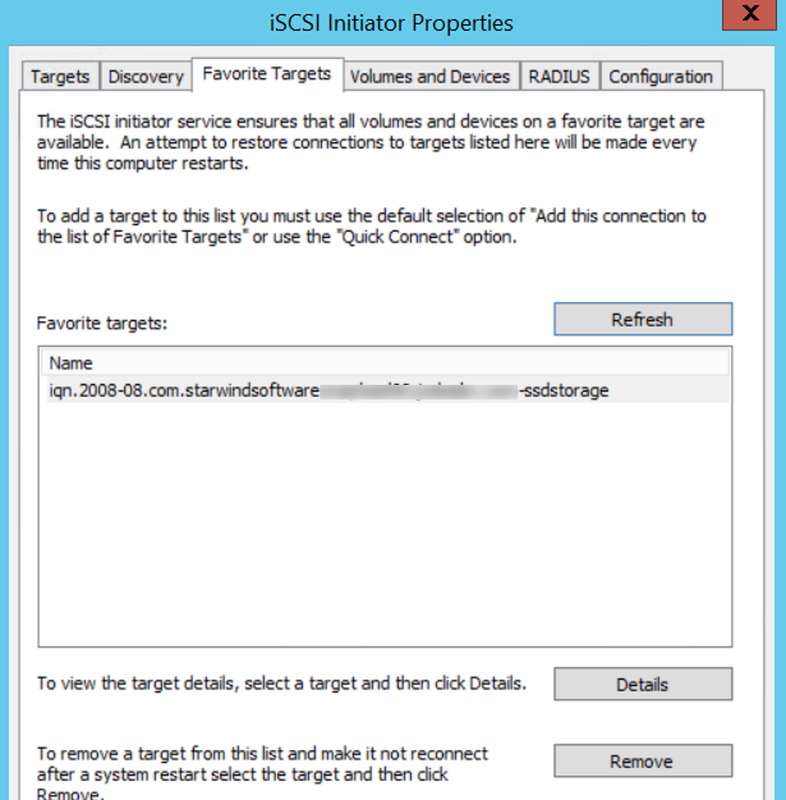 This entry was posted in Failover Clustering, Server & Farm Configurations, Windows 2012 R2 and tagged iSCSI Initiator, MPIO, vSAN by spsamer. Bookmark the permalink.